Designed for the visual investor. If you are interested in having a sophisticated trading package designed by traders for traders using the latest technology, with plug-in upgrade technology, then Track ‘n Trade may be just what you’ve been looking for. 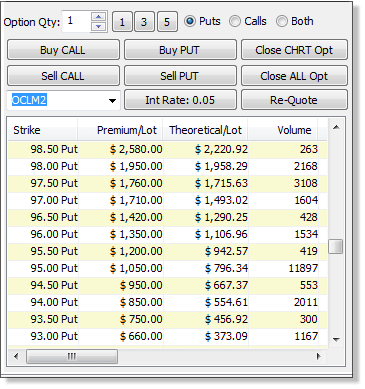 "Revolutionary...The Only Options Trading Software Of Its Kind"
Drag ‘n Drop, Option Order Placement Tools: Never have you seen anything like this! 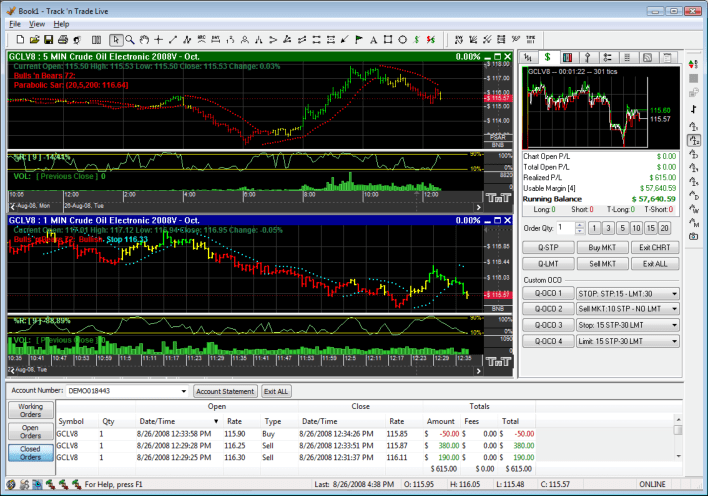 Place options orders directly on the chart with Track ‘n Trades amazing Options Drag ‘n Drop order placement tools. With an Option, You Have The “Right,” But Not The “Obligation” To Purchase The Underlying Asset. The exact strike price in which you are taking that obligation. How it plays out in relationship to chart price, technical risk, and money management projections. How technical patterns, indicators, and price projections play into the mix. The strike or obligated entry point & price. The theoretical “Black & Scholes” value of the option. This is exactly what the Track ‘n Trade’s options tools provide to you. You need to have this knowledge to be successful, and without it, you’re just “hoping” you’ll make money, and as we all know, “hope” is not an indicator! Do I Need To Know How To Trade Futures, If I’m Only Going To Be Trading Options? This is our #1 question asked regarding options trading. The answer is an emphatic yes; of course you need to know how to trade futures, even if you’re only going to be trading them with options. That’s the key, when you trade options, you are trading futures. An option is the right, but not the obligation to buy, or sell a futures contract at a predetermined price, therefore if you don’t know how to trade futures, then how are you going to know which option to buy and sell, and why? Of course, the advantage of trading options is that it allows you to reduce your risk factor, while still maintaining your profit potential. 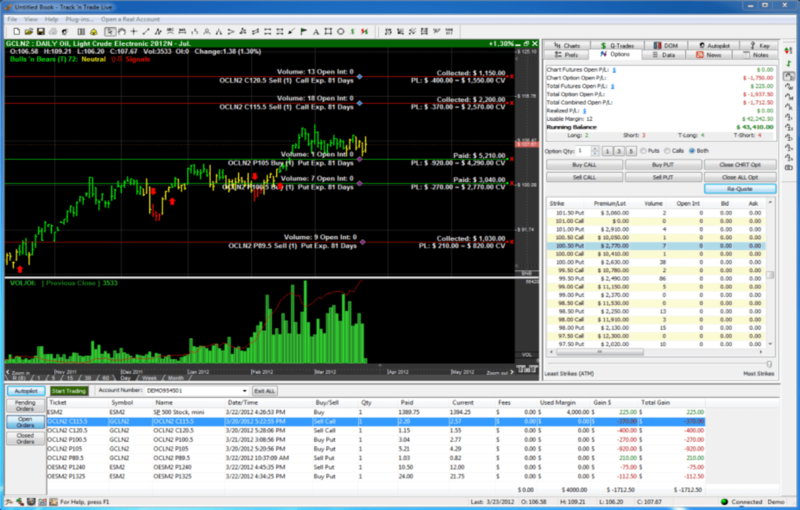 Track ‘n Trade’s Unique Way of Combining Options & Futures Trading, Makes Trading Options Simple. The value of an option is directly related to the price action of the underlying futures contract As the futures value increases or decreases, it directly effects the value of the option. Therefore, seeing the options directly on the chart, in relationship to the price action of the futures contract, is key to your success and imperative to your trading. Never before have you seen anything like this. Options orders are calculated on the fly, as you drag ‘n drop them directly on the chart. Move your mouse from strike to strike to have the Track ‘n Trade calculators automatically update price, time, theoretical values, and risk/reward percentages. With Track ‘n Trade’s drag ‘n drop options orders, you can directly compare the value of each option as it directly relates to the underlying commodity. You can actually “see” the difference! Take a free 14-day trial, to see for yourself! What Is Black & Scholes Theoretical Options Values? And, Why Do I Need It? 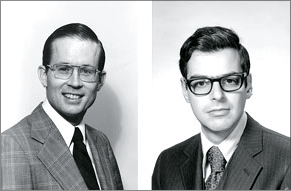 Simply Put, The Black & Scholes Options Value Calculation, included within Track ‘n Trade, is the industry standard mathematical model that tells us how much any given option is worth. Black ‘n Scholes is Basically the “Kelly Blue Book”of options trading. If you are paying more than Black & Scholes says it’s worth, then you’re paying a premium over and above the actual “value” of the option. Alternatively, if the option is trading for less than what Black ‘n Scholes says it’s “worth,” then you’re getting a bargain on your option purchase. 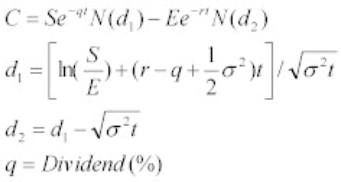 There are many different variations of the Black ‘n Scholes formula, the one we use within Track ‘n Trade, and calculate on every option, and is listed within the options table labeled: Theoretical/Lot, is the formula recommended for trading options on futures using live computer trading platforms; which is exactly what we’re doing, and works perfectly for our purposes.